How Far is Ashar Metro Towers? Ashar Metro Towers at Pokhran Road An once-in-a-lifetime opportunity coming soon to own best-in-class1 & 2 bed homes at Unreal Prices. The upcoming opportunity is coming to Vartak Nagar, Pokhran Road 1, just 5 minutes walking distance from Singhania School. This is Thane’s best location with Jupiter Hospital, Viviana Mall, TCS and Eastern Express Highway all are within 10 minutes distance. Good Price and Attractive installment plan for the individuals who have longed for owning an all around structured home in the very heart of Thane. Ashar Group Pokhran Road 1 is a dynamic new task in Thane, which is right now under development. An uptown neighborhood with extravagant greenery, a prime hotspot, wealthy area and a land Investment Destination. With peaceful and curious environment, world-class framework, Thane has turned into the hot property goal. 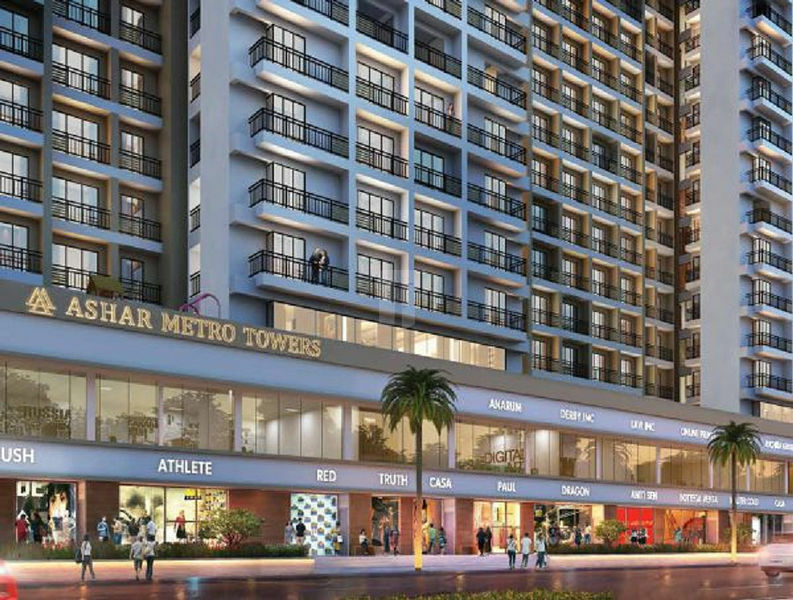 Metro Towers at Vartaknagar Pokhran Road, Thane. The rooms here are rich, contemporary, extensive and opens out to the city's excellent perspectives. Your home here will give you perspectives on Thane more than ever. Ashar Group is a renowned real estate company in Mumbai and it believes that they are defined not only by what do they build, but also by whom we build for. Their projects attract sophisticated homebuyers who appreciate unique homes with a sense of community and interaction, it has a perfect combination of modern homes and with equal comfort and elegance. The group strives to pay attention to the smallest details in the project, keeping the residents awestruck. Good design is what truly elevates their marvels. Ashar Groups developments comprise Ashar Sparkle in Kapur Bawdi and it offers you thoughtfully crafted 2BHK & 3BHK apartments for sale, as well as Ashar Sapphire in Kapur Bawdi which offers you elegant 2BHK & 3BHK apartments and Ashar 16 located strategically in Thane West, which offers you 1BHK & 2BHK apartments. They value enduring, proportioned architecture and contemporary interior design and believe that a home should support the needs of the residents, the only thing that makes them proud is a happy family, living into their homes. It gives them pleasure and the zeal to keep building extraordinary homes for their growing family, by elegantly falling into the background as the excitement and comforts of everyday life play out. It is their tradition to involve every internal team, from construction to marketing to customer service, at inception and right to completion. This approach captures input from all aspects of their customer's experience so that the group delivers on their brand promise which is building trust.